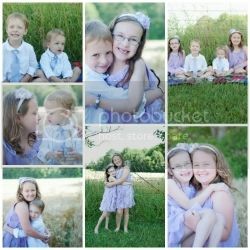 Do you have a cute picture of your son, daughter, grandchild, sibling, nephew, niece or cousin as a baby? If you do, they could win the LondonMoms.ca Cute Baby Contest and receive a FREE gift Note: your child does NOT have to be a baby now. You can enter the contest with an old suitable pic of your baby even if they are say 7 years old now. Submissions open from now till Sunday October 5th, 2008. Voting starts on Tuesday October 7th, 2008. I chose these gift cards because they're all Canadian companies. I like Cara because you can use their gift cards at several restaurants including Swiss Chalet, Montana's, Kelesy's, Second Cup and Harvey's. 1. You need to sign into the forum. If you’re not a member you can register here. 2. Add new Album to your profile and then add a cute picture of your baby to that Album. You may add as many pictures to the album as you like but you may only use one in the contest. 3. Now that you’ve uploaded the image go to your album and click on the image you'd like to use. Copy the code under “BB Code”, reply to this thread and paste the code you copied in your reply message. Tell us something interesting or cute about your baby. Something funny or adorable that they do. Make it interesting. You must include this part or you won't be included in the contest. You can upload several photos of your baby but you can only officially use one for the contest. However you can refer members to the other photos if that will help you get more votes . If someone would like to volunteer in helping other members add pictures, etc. please feel free to do so! Voting starts on Tuesday October 7th, 2008! Whats the age range to be considered "baby"? lol.. but she also said there would be an infant contest..
ya I was a tad confused over infant and baby..I would assume an infant is under 3 months? jennifer mommy to 4 amazing kids! This contest is for new born and crawling babies. Any baby who still can't walk. Next month it'll be toddler babies. So they CURRENTLY have to be a baby - can't be an old shot of your sweet kid as a baby? lol are you by any chance french? Infant generally means newborn-3 or 4 months, approximately. Baby is newborn til about one. Toddler is walking and onward. Preschooler is usually about 3-5 depending. I wondered if you're french cos in french isn't enfant child, and thought you might be confusing infant/enfant. hth. Well I think it's better to have one entry only per member to give everyone a chance. Boo.... I think one entry per child would make more sense. I don't think it's a comfortable experience to ask mom's to choose between their children. Just a thought. By JKPLJ in forum Frugal Living, Cool Co-ops and Special Group rates for London Moms! By Tami&amber in forum General Support/Advice about the Kids! London free Press Baby Contest - last day to vote! CUTE CUTE Sets At Target!! !